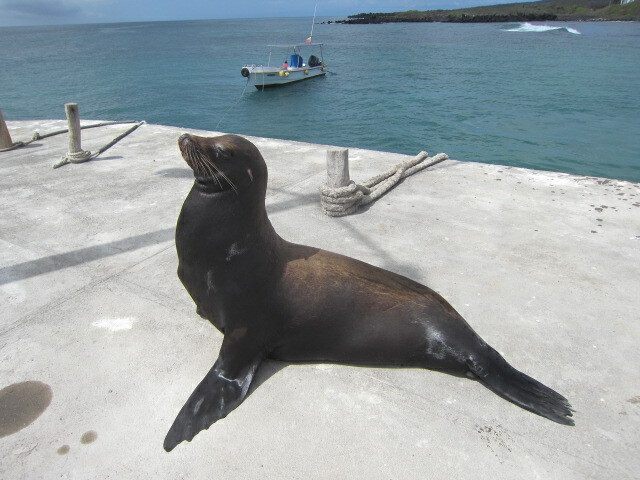 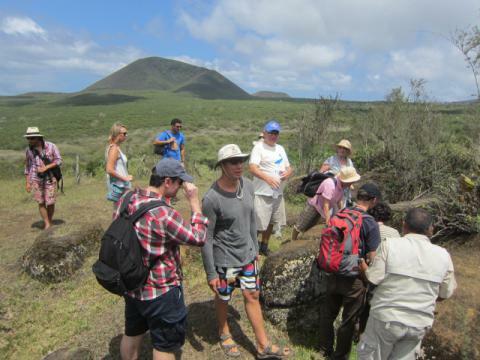 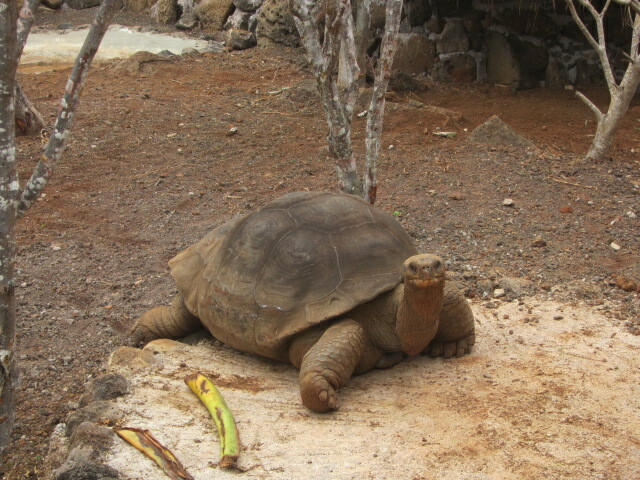 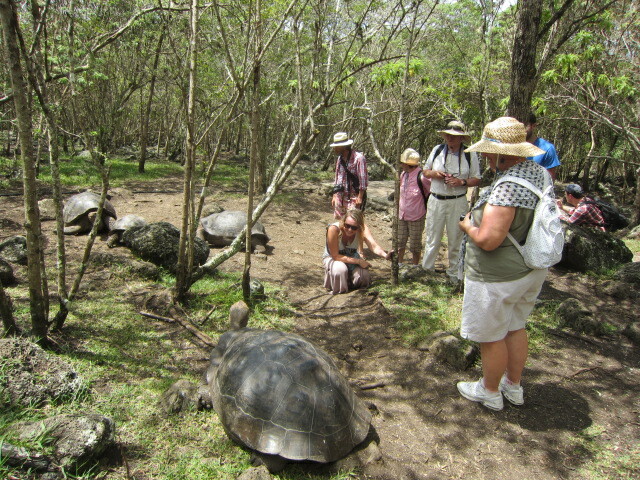 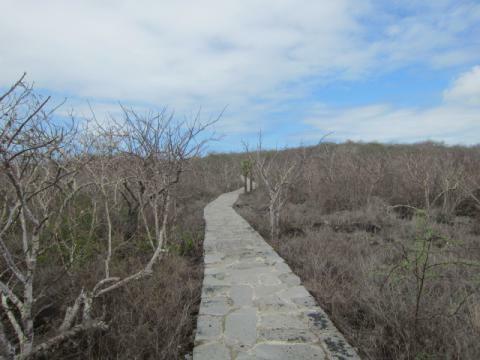 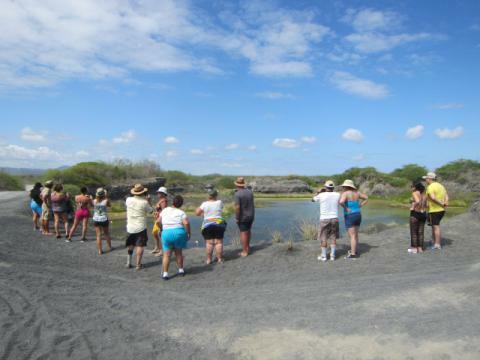 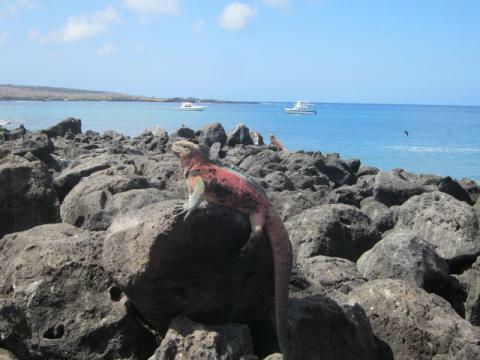 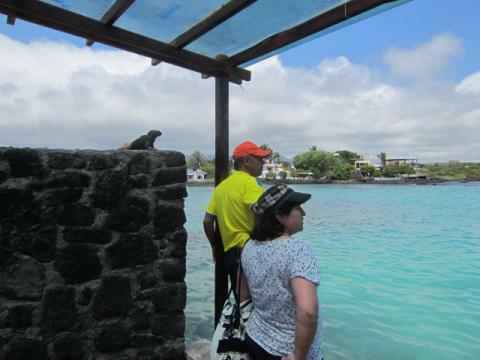 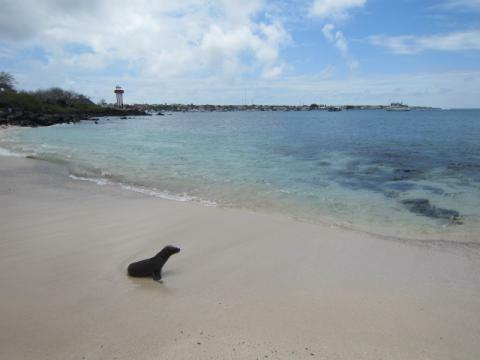 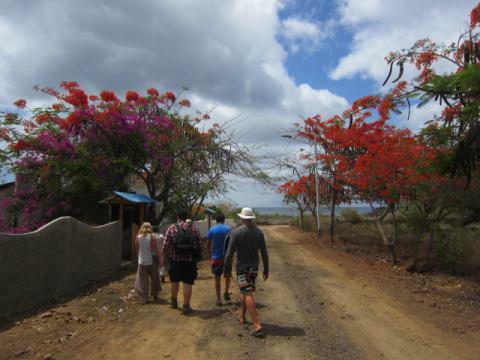 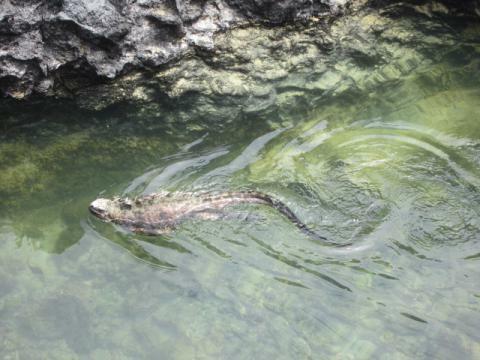 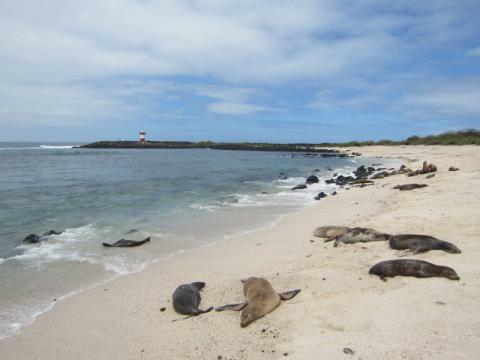 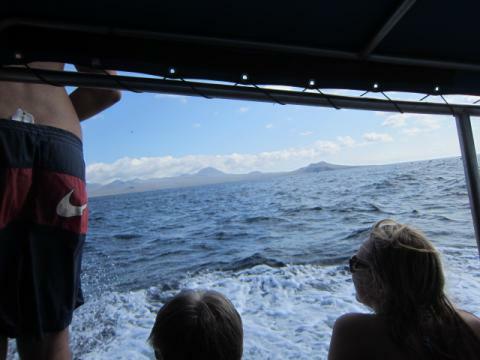 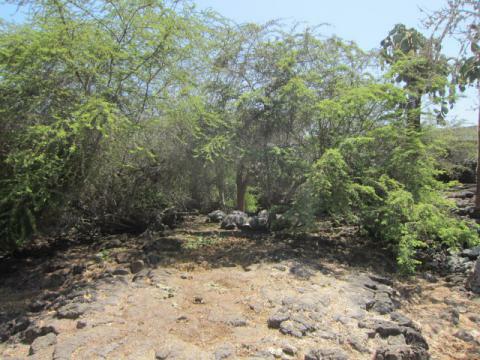 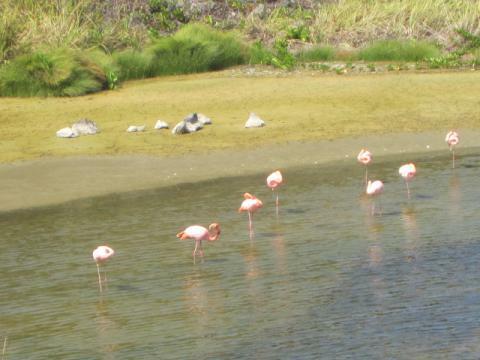 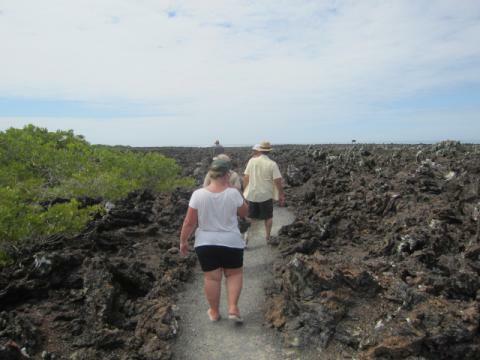 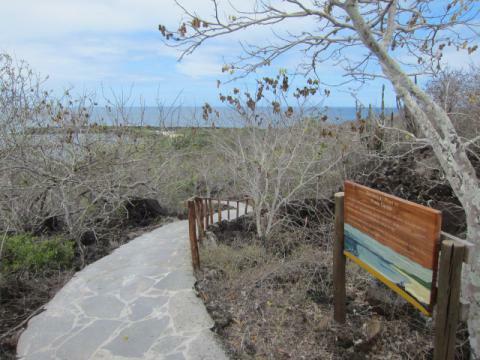 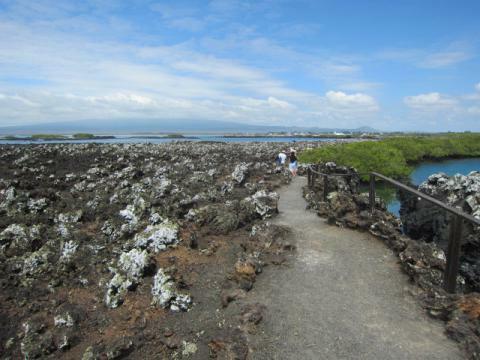 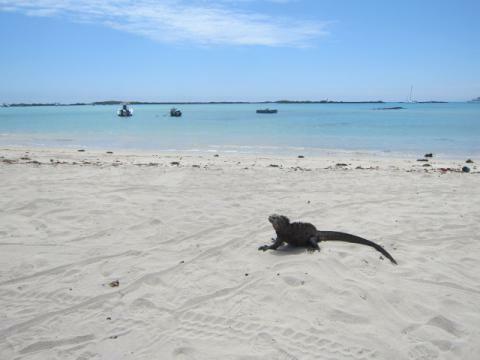 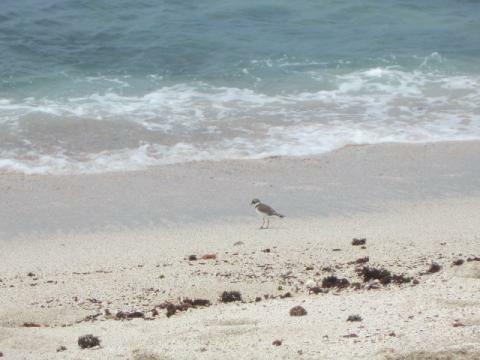 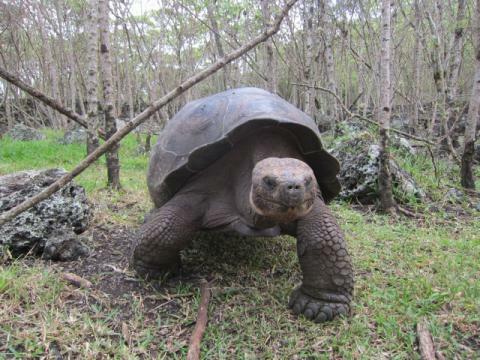 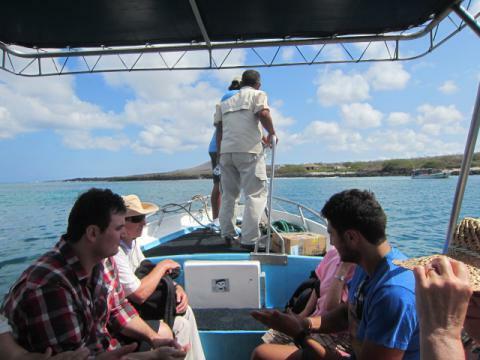 On the last day in Galapagos islands,I chose one day tour to Floreana island. 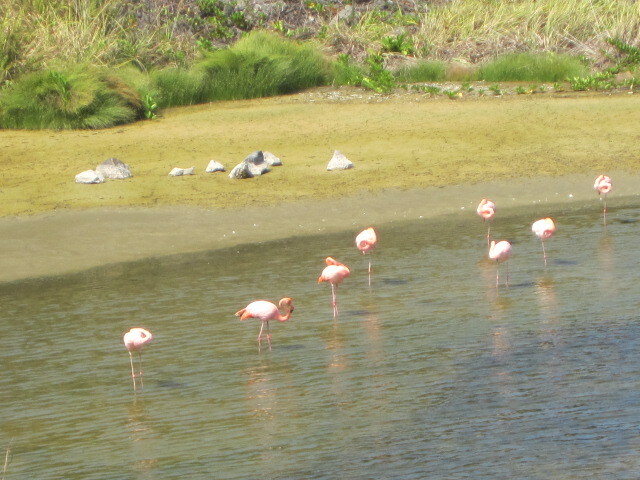 England,Russia,Israel,Canada,Saudi Arabia,Japan(me! 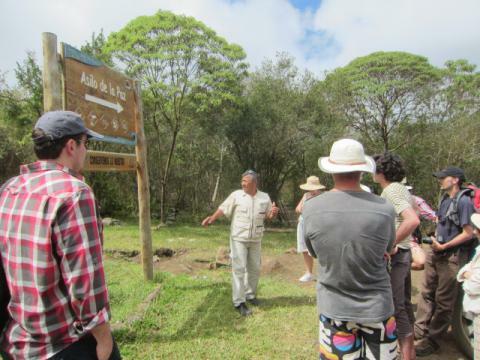 ),we are all from different countries but naturalist(guide) man can't speak English at all...Young amigos from Chile and Argentina translated everything for us.Thank you! He is explaining in Spanish. Pirates used to be in this island to hide themselves. 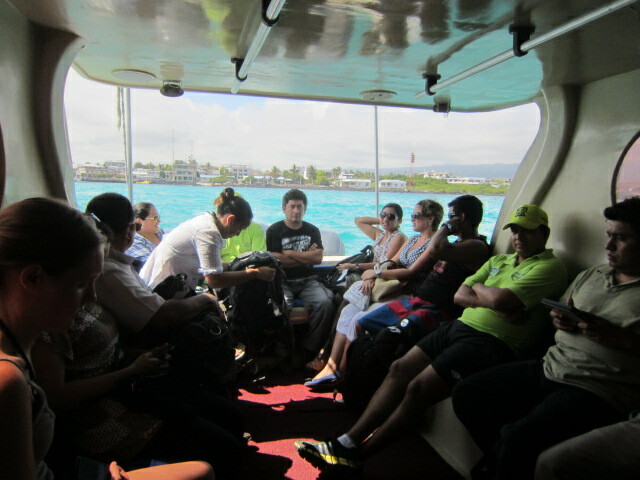 Everybody looks enjoy here very much. 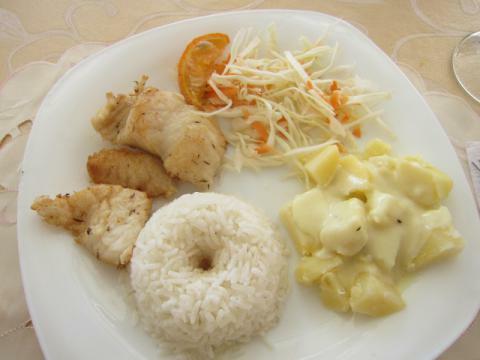 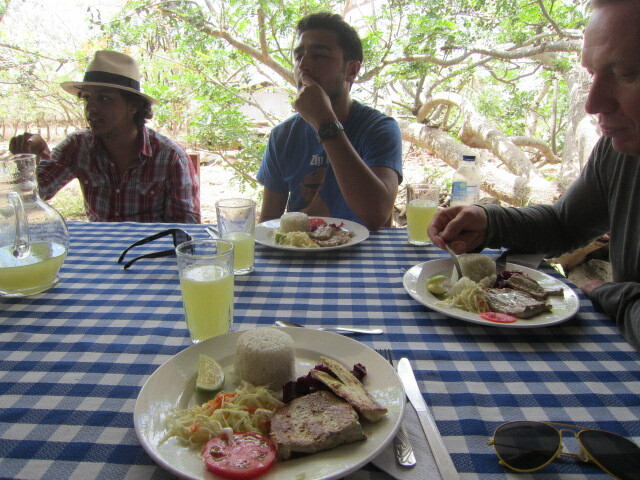 Fish and lemonade for lunch. 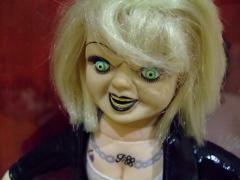 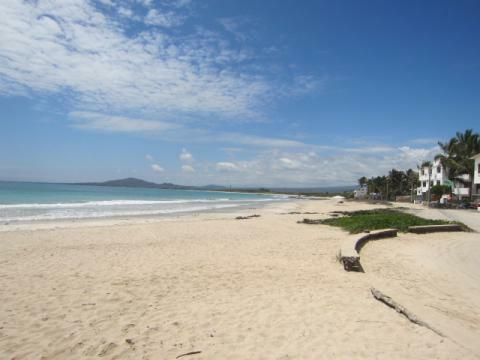 After that we go to the beach. 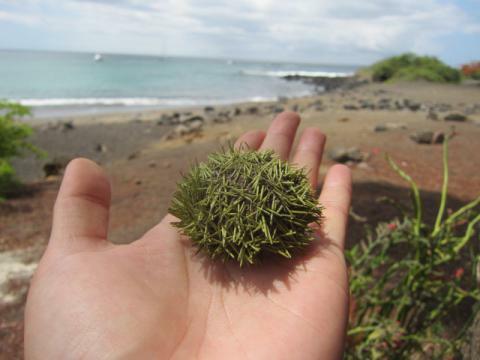 Andy from Russia found this for me.Sea urchin baby,looks like a kind of plant! 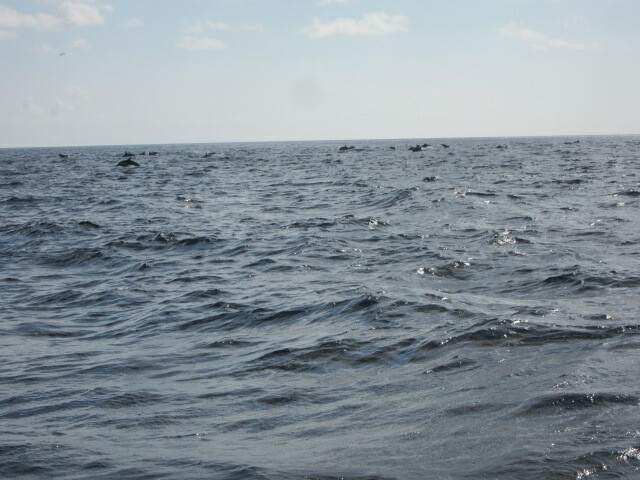 a group of dolphins!I guess there are more than 200 or so.That was really nice surprise. 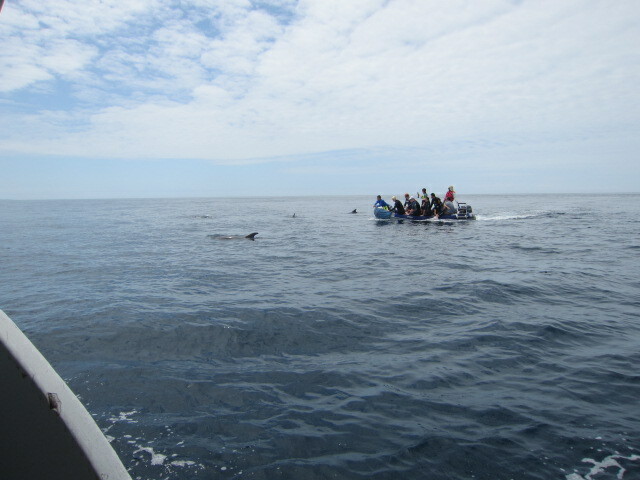 I had a really good time with animals and friends from all over the world. 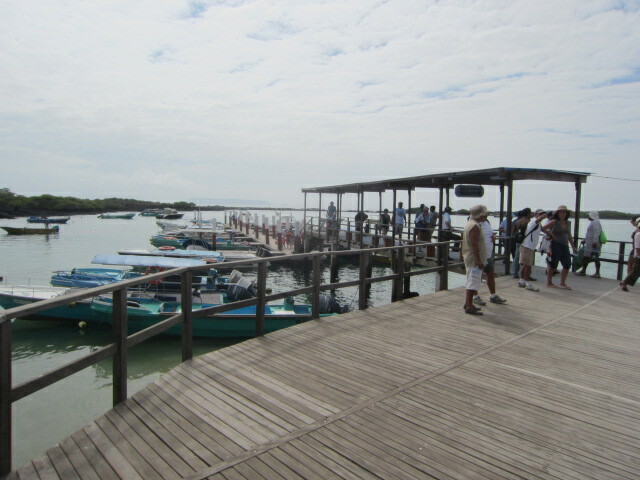 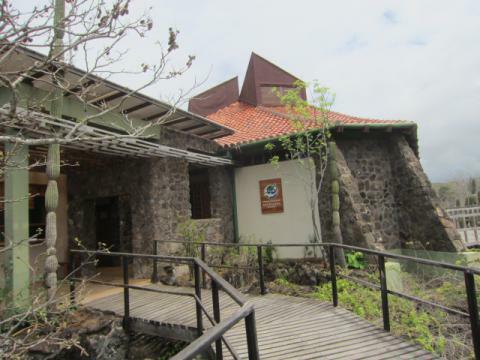 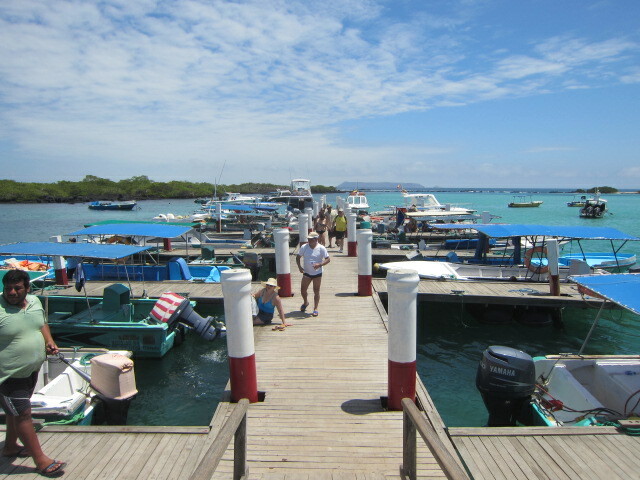 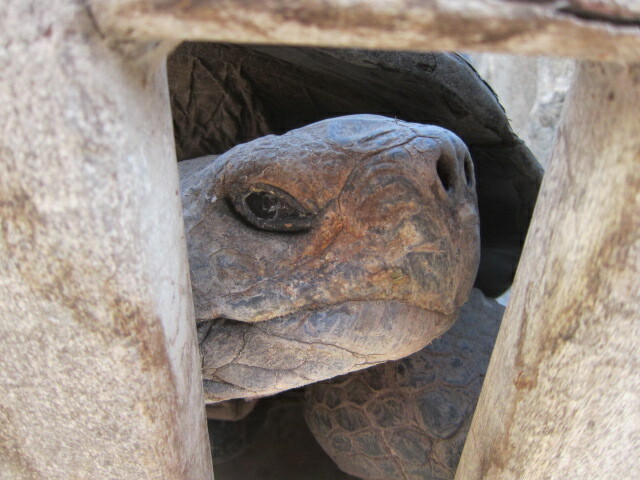 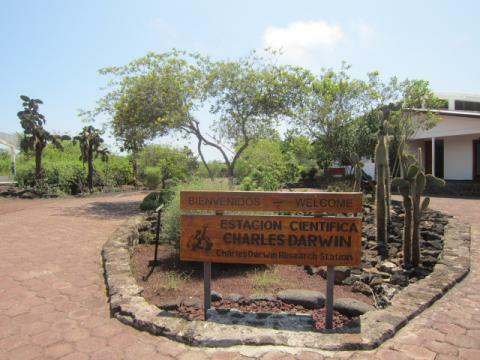 This is the last day in Galapagos islands.I bought something for me at this place,Galapagos Gallery. 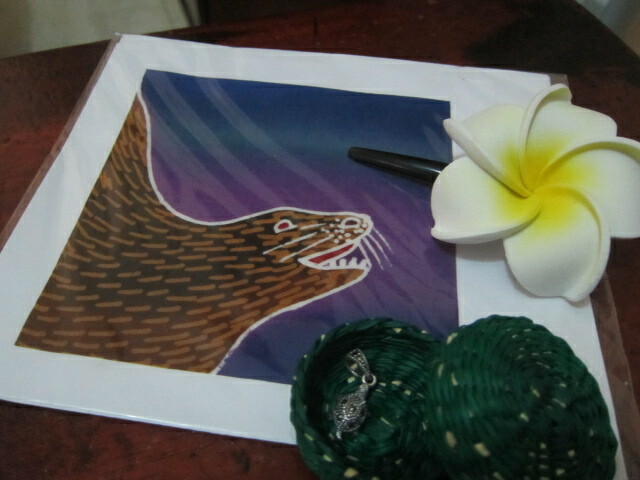 Brasilian black diamond turtle necklace.Sea lion card,petit green basket and plumeria hair pin are gifts from owner of this shop. 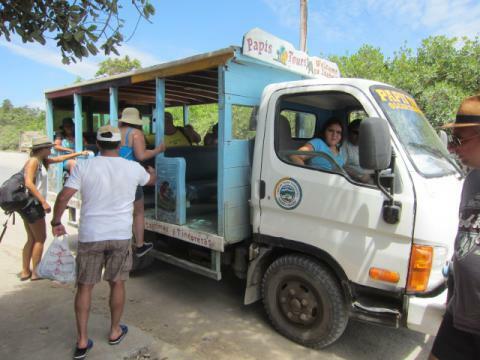 One day tour to Isla Isabela. 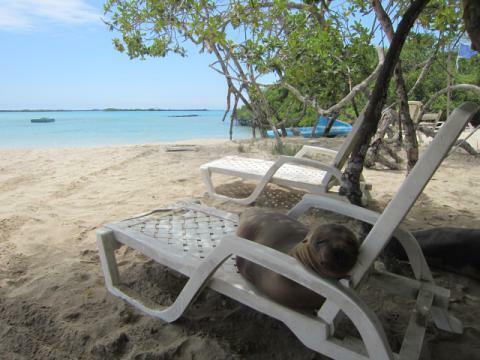 He is like a human but face is like a dog. 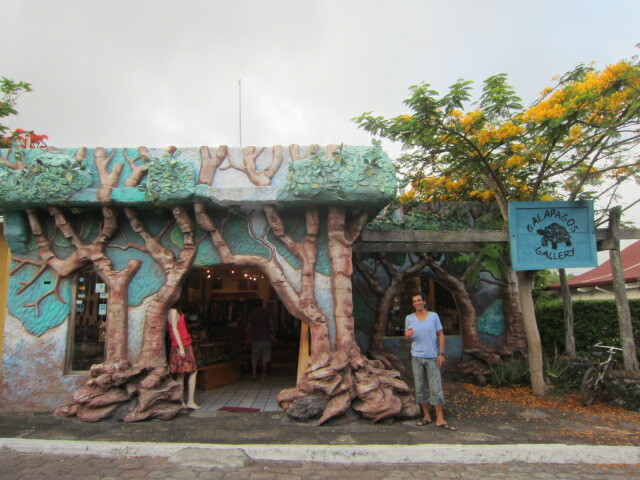 to get back to Isabela. 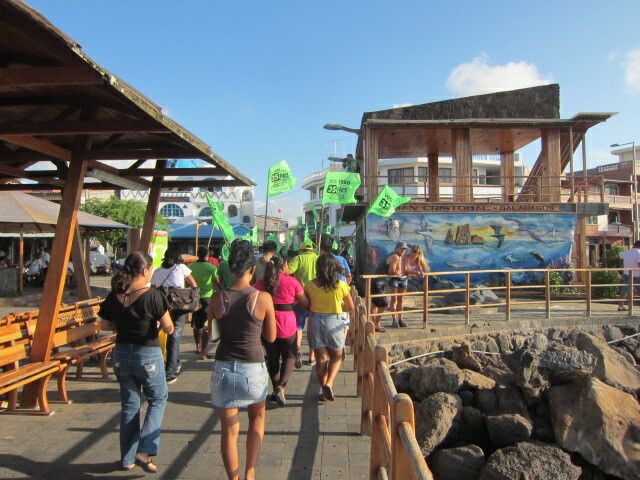 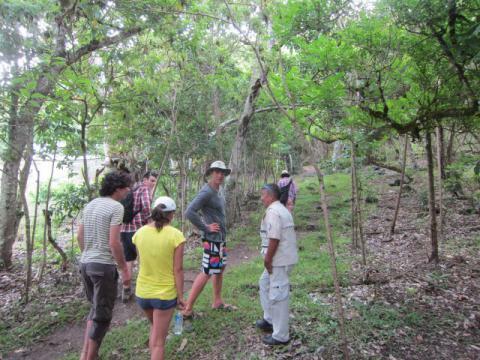 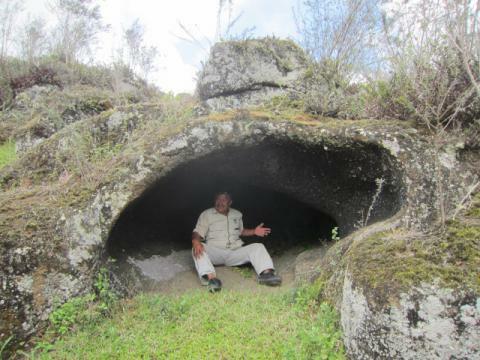 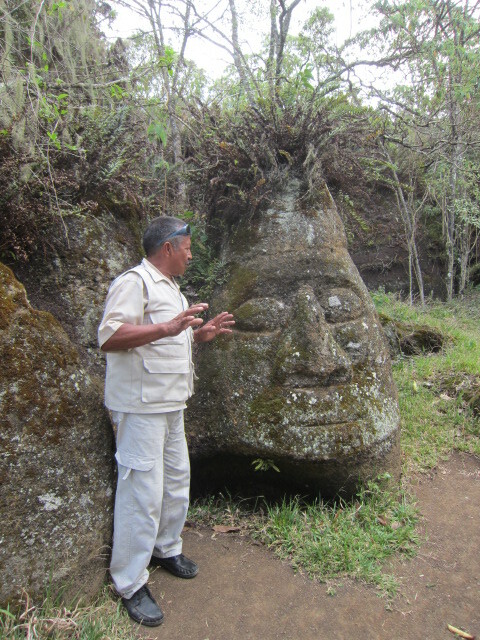 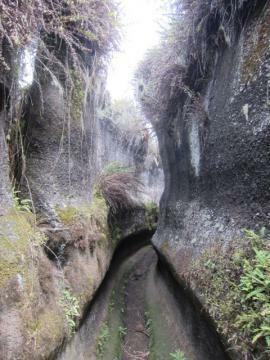 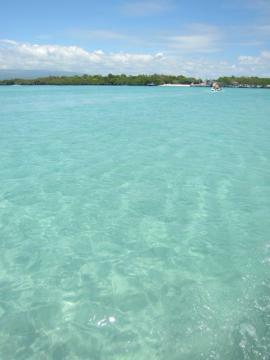 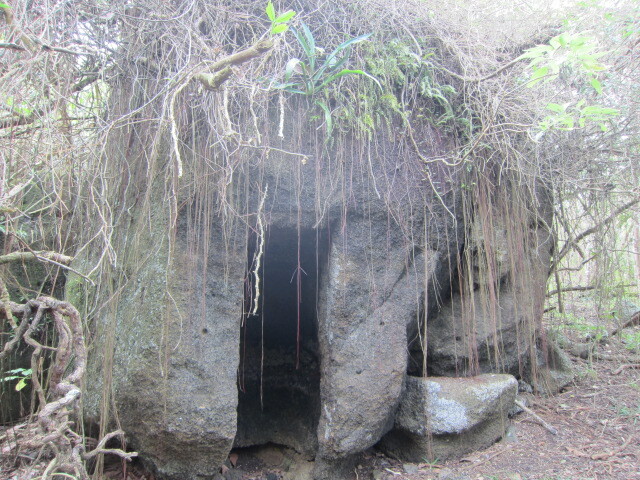 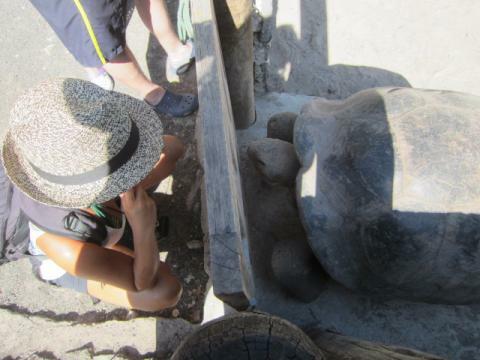 The last day in San Cristobal island.Center of Interpretation. 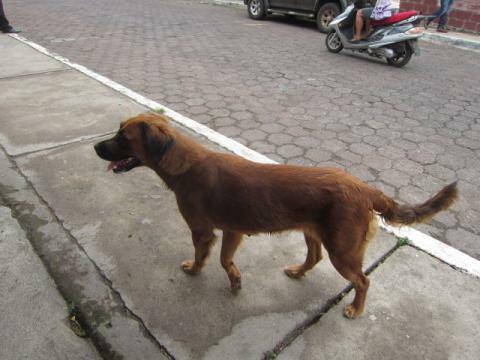 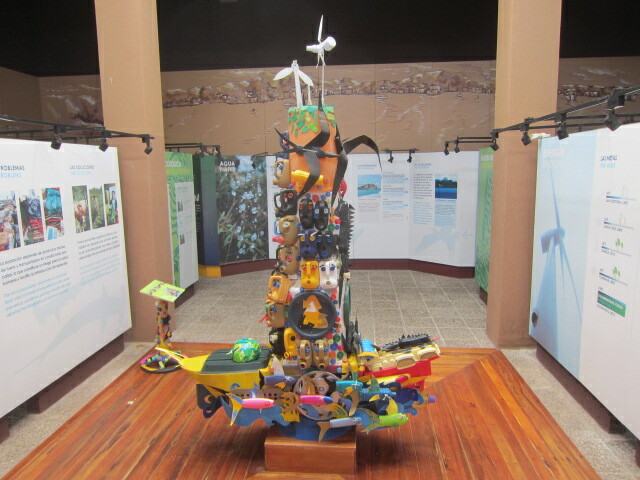 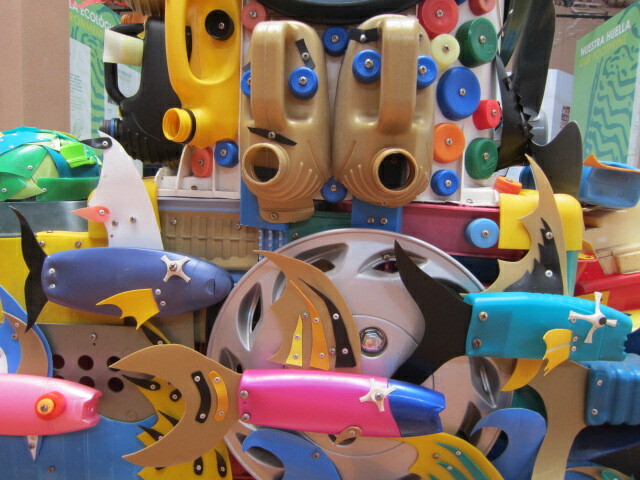 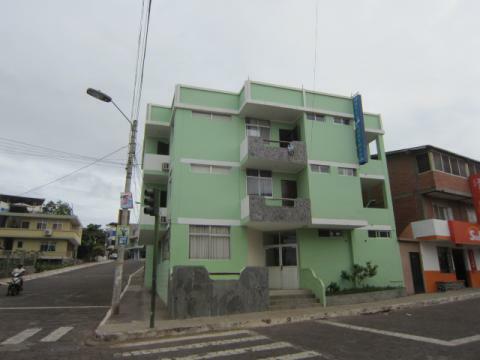 wastes.Government of Galapagos has been trying big recycling project. 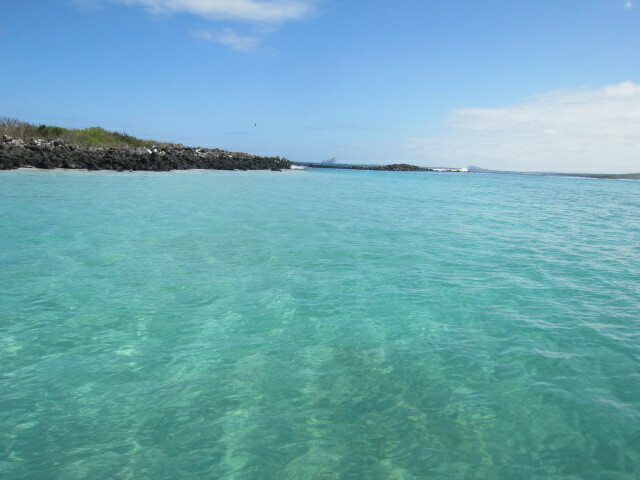 I also went to Mann beach on the way back. 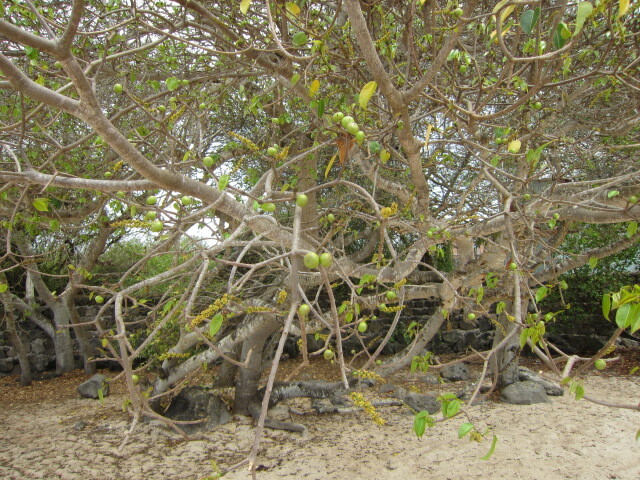 These are poison apples but only giant turtles can eat them. He was following me all the way. 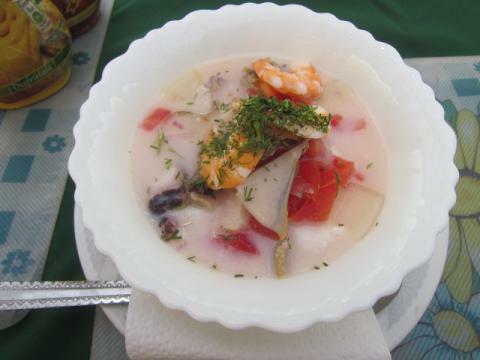 Equadorian ceviche is like a soup and all seafood are boiled. 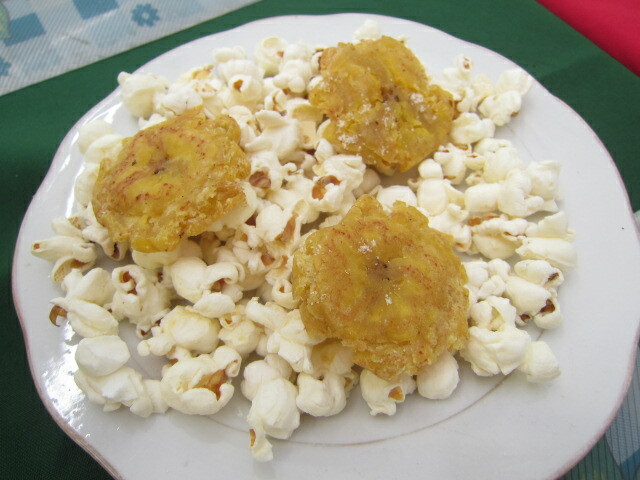 Popcorns and fried bananas for free. 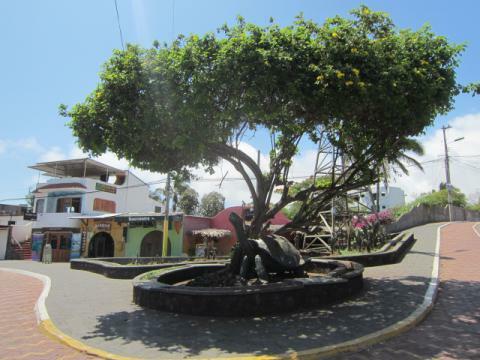 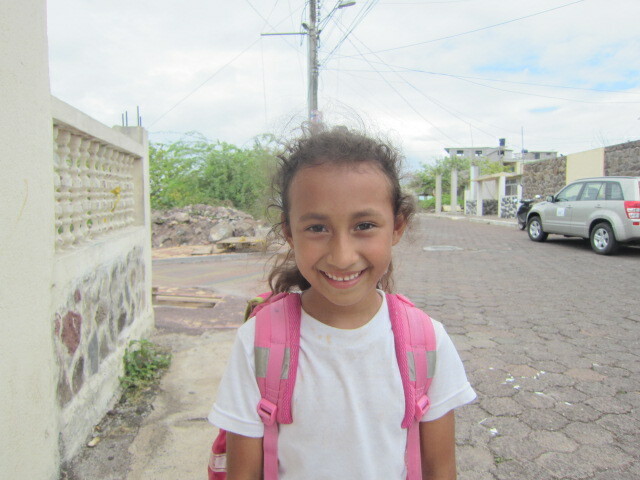 I had really good time in San Cristobal.Bye for now! 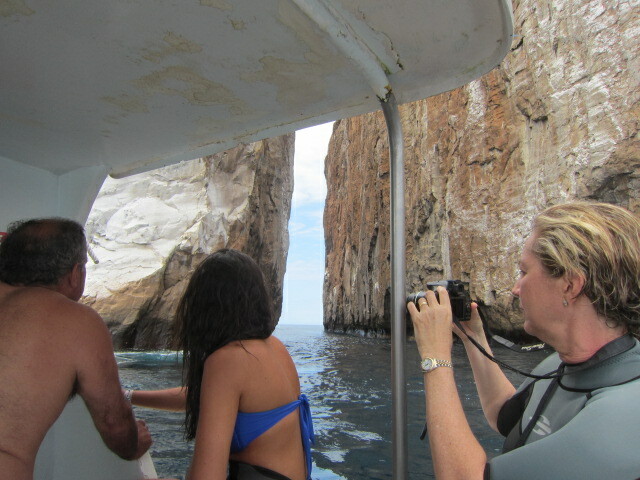 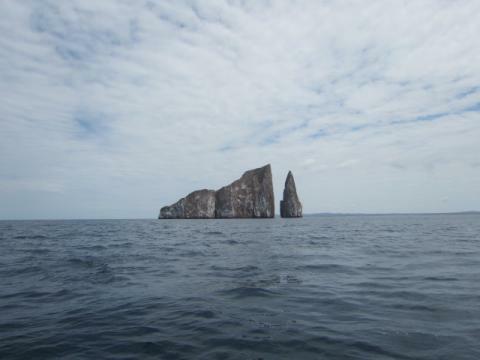 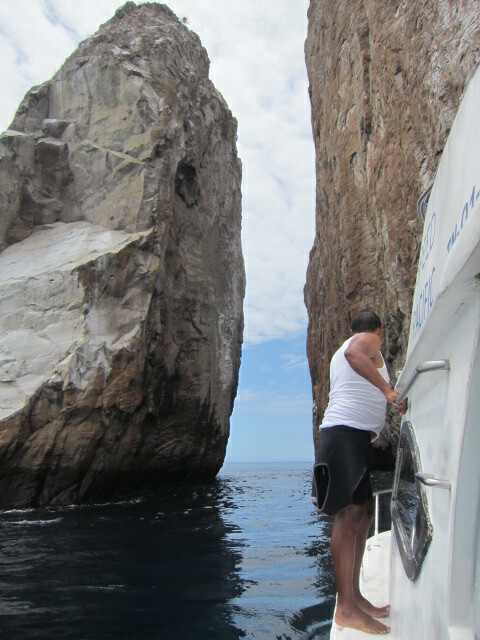 We go to Kicker Rock to snorkel. 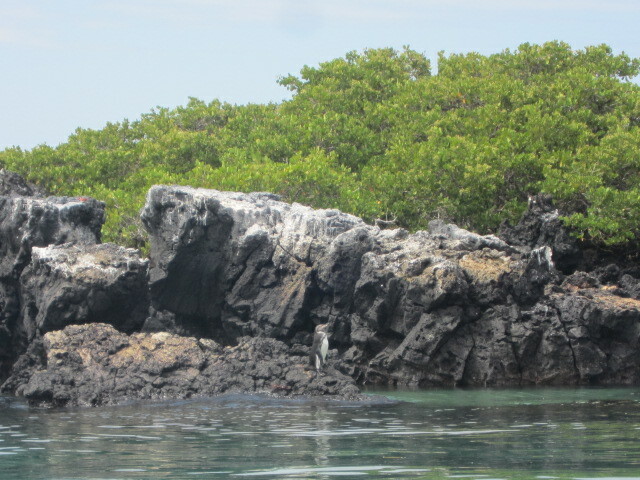 We're going to snorkel between those rocks. 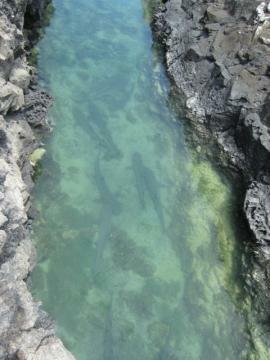 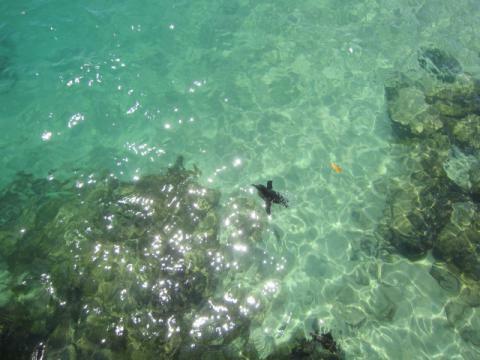 We met lots of sea turtles and sharks here! Snorkeling whole day.I had big physical tiredness but mental satisfaction! 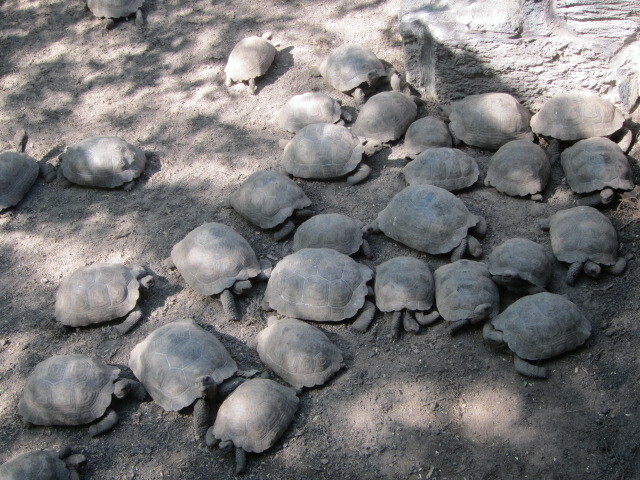 I found them alot!But I couldn't get close to them bcz they were in a big cage. 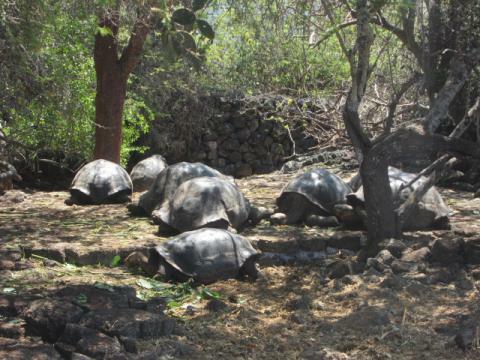 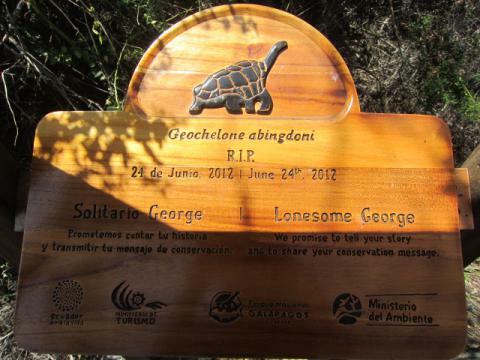 I couldn't see Lonesome George. 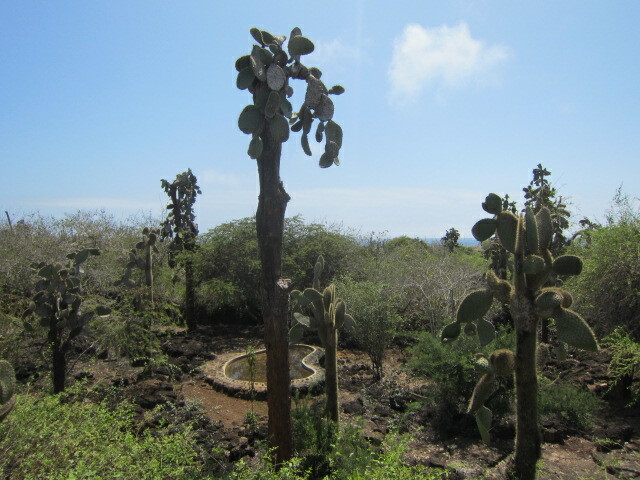 Galapagos cactus,"Prickly Pear cactus. "They evolved like this shape not to be eaten their flowers by iguanas.And iguanas evolved themselves into flyable.....no. 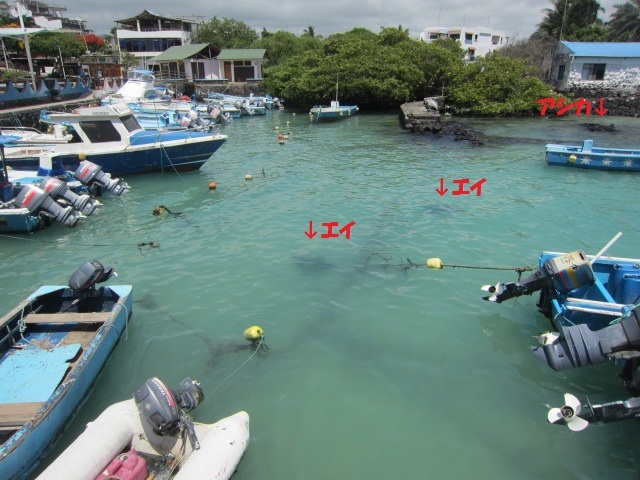 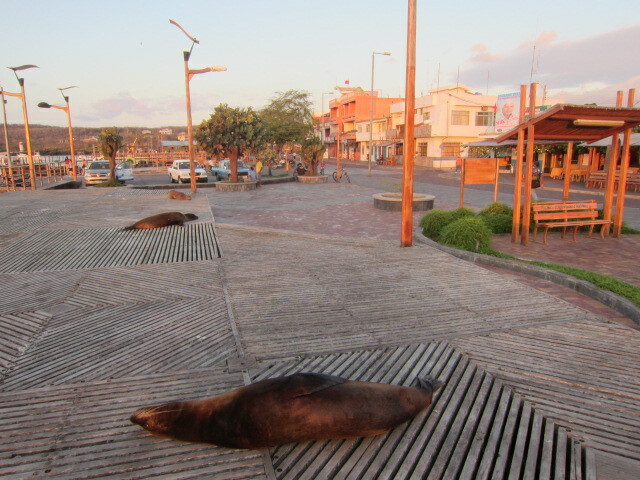 Stingrays and sea lions on a port. 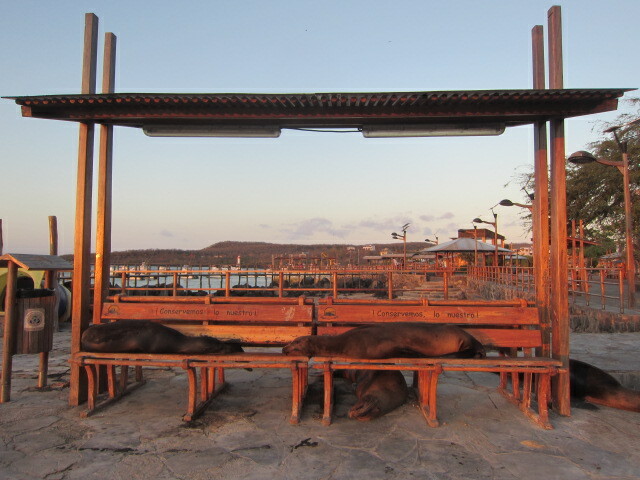 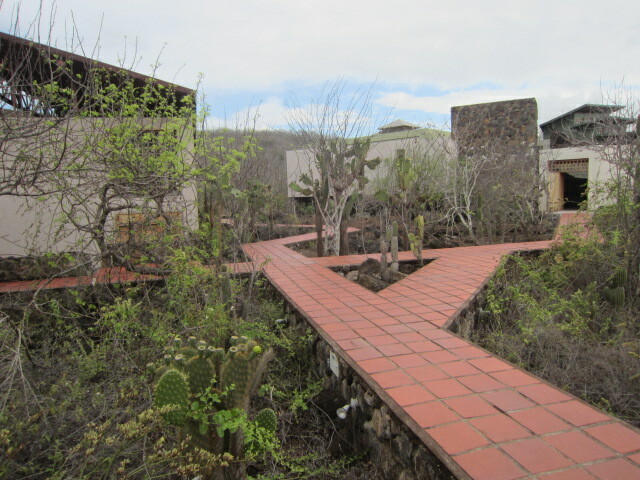 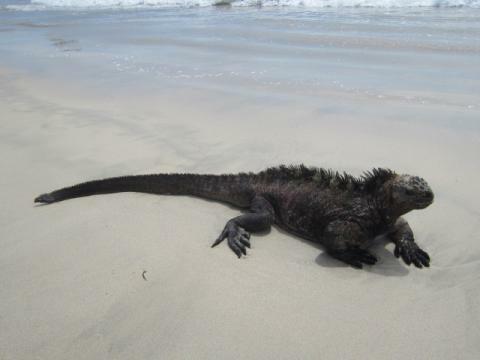 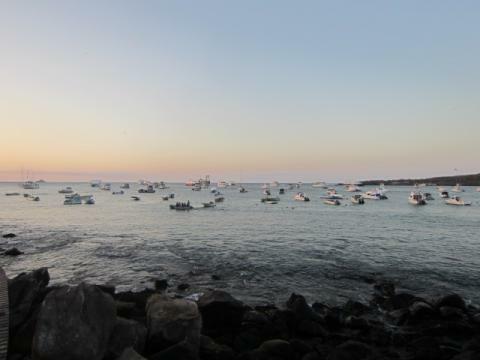 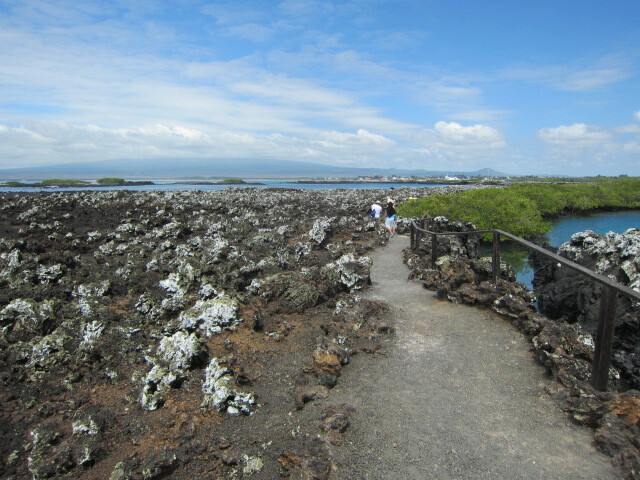 This is very usual view in Galapagos. 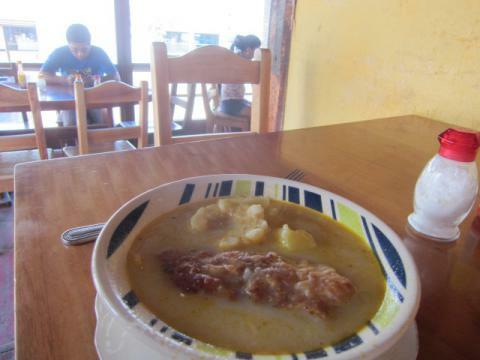 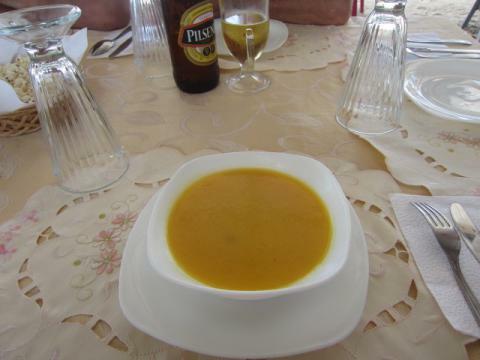 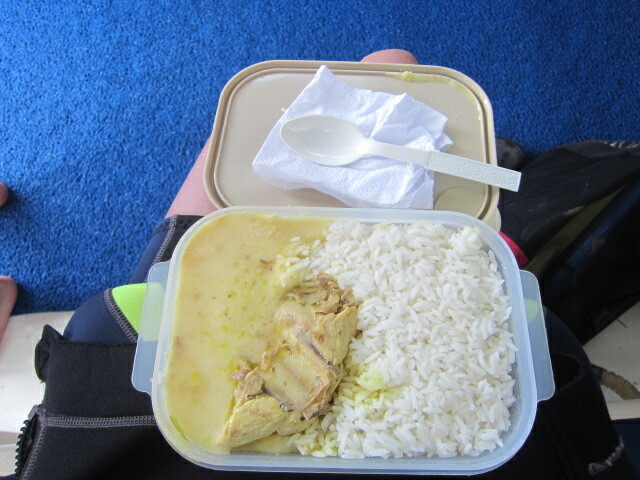 Chupe de pescado.Deep fried fish in soup.2.50 dollars. 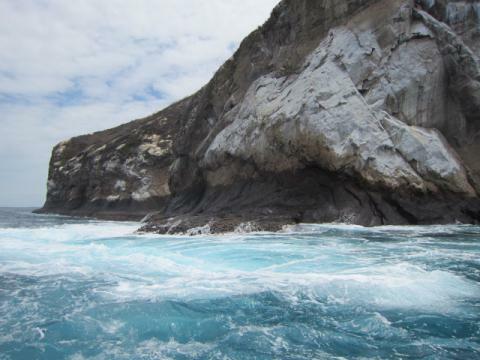 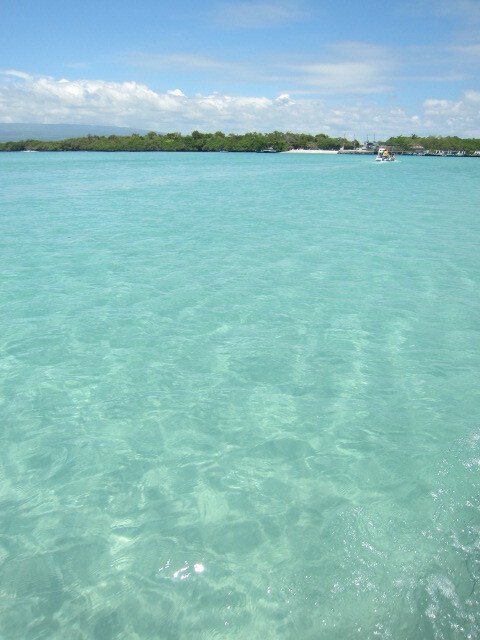 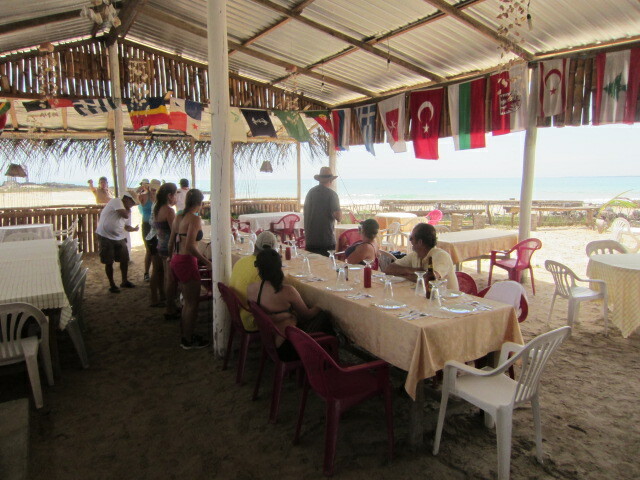 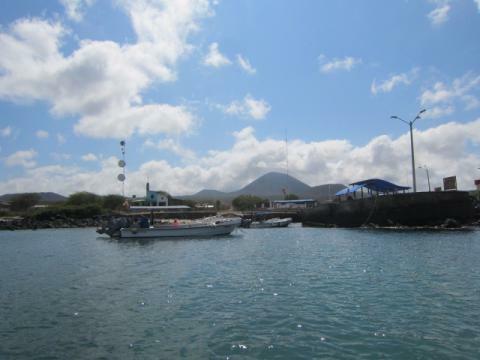 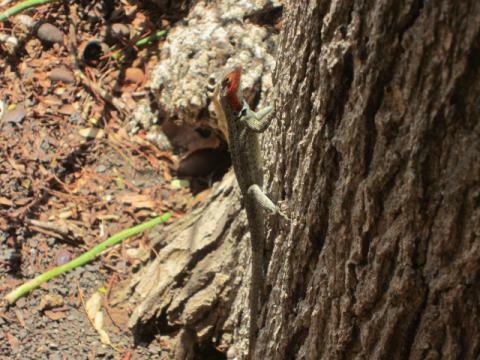 At 2:00p.m, I took a boat for two hours from Santa Cruz island to San Cristobal island. 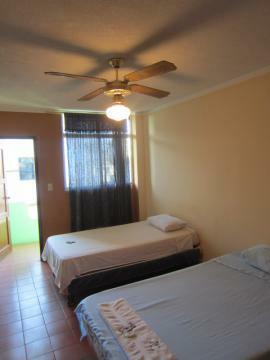 Very nice room with balcony and high-speed wi-fi.20 dollars per night. Boats are waiting for next day on a water. 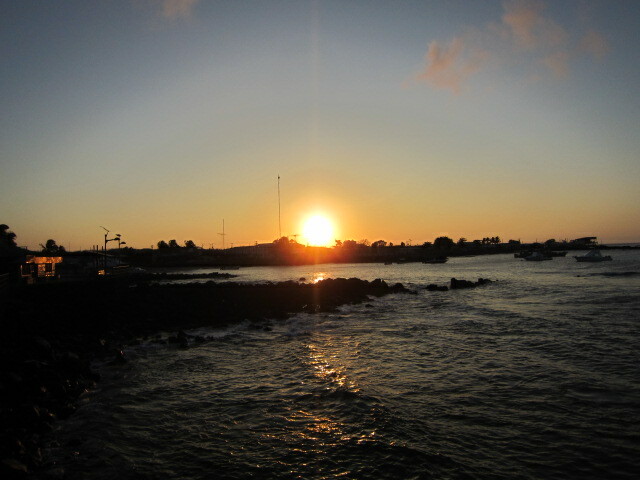 Beautiful sunset in San Cristobal.